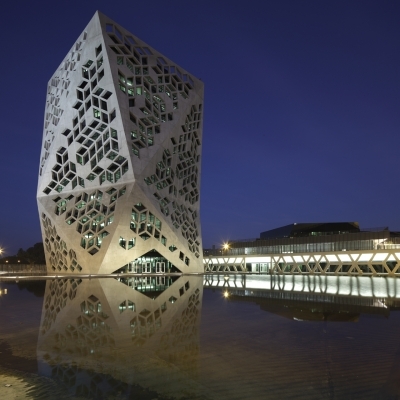 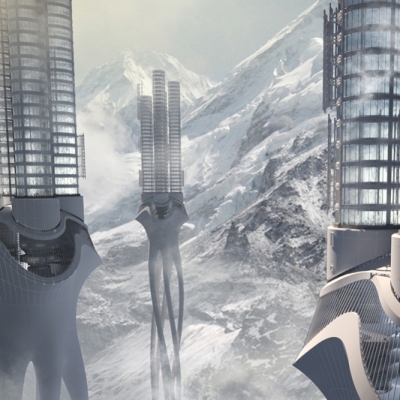 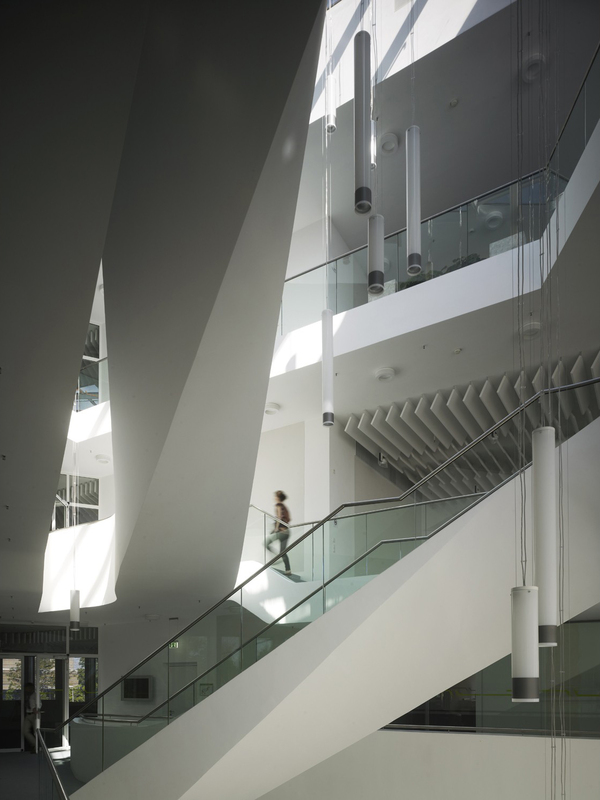 UNStudio’s design for the Centre for Virtual Engineering (ZVE) applies its research into the potential to expand contemporary understandings of new working environments and affect a design approach that creates working environments which stimulate communication, experimentation and creativity through a new type of office building. 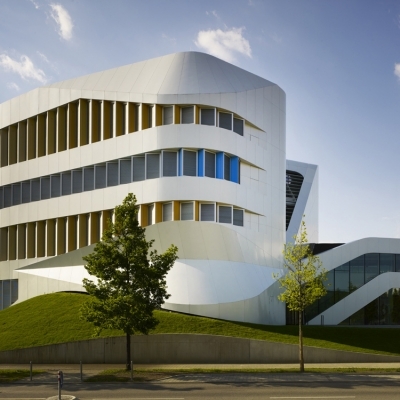 Located on the research campus of the Fraunhofer institute in Stuttgart Vaihingen, the Centre for Virtual Engineering (ZVE) specializes in the investigation of different multidisciplinary work flows. 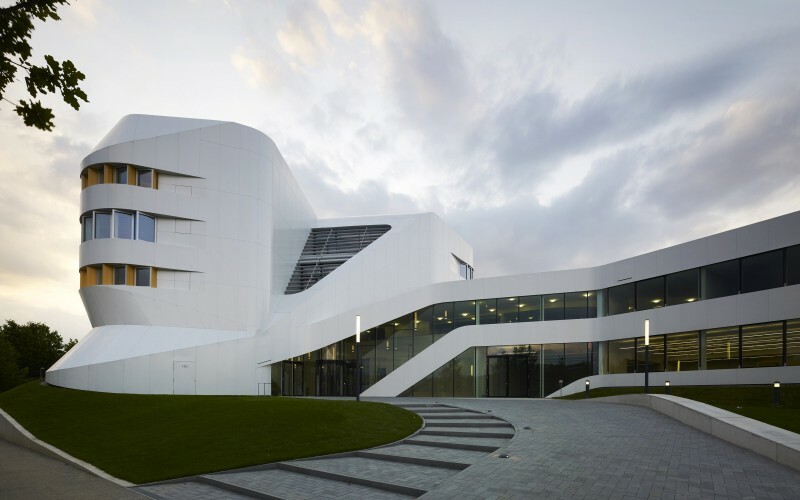 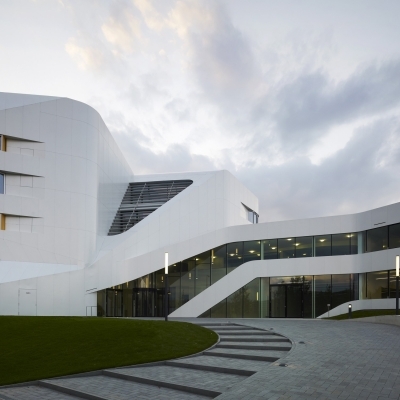 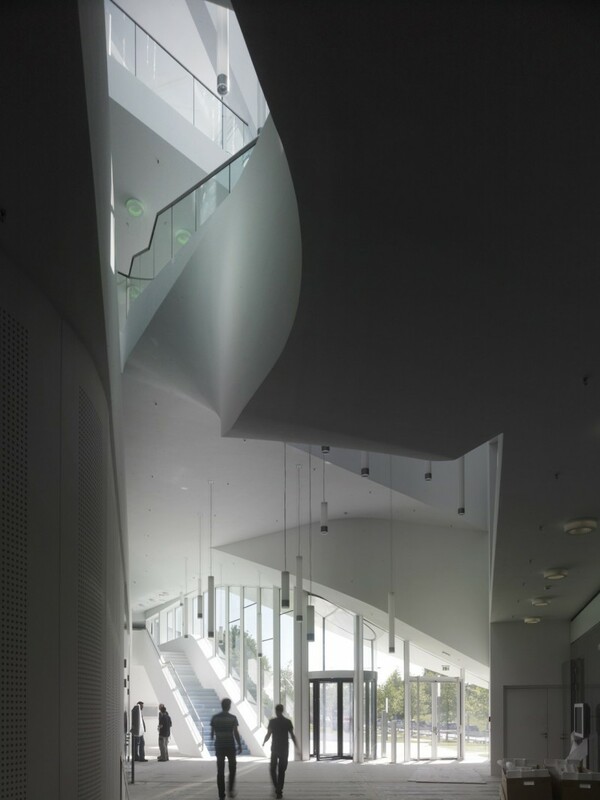 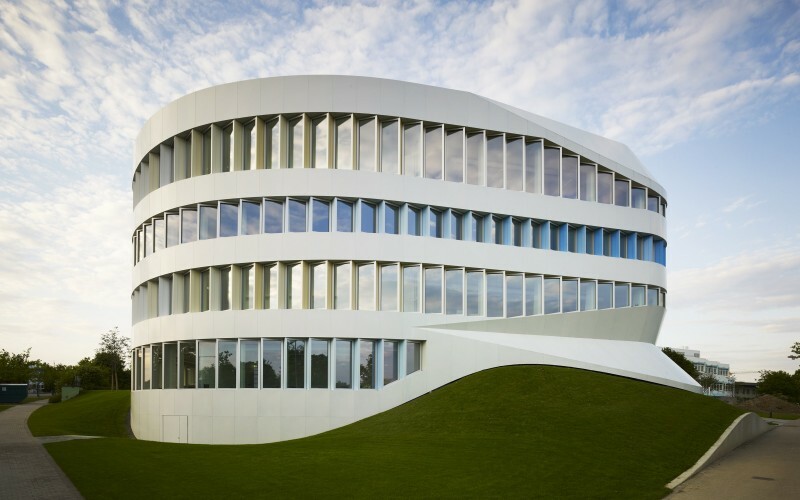 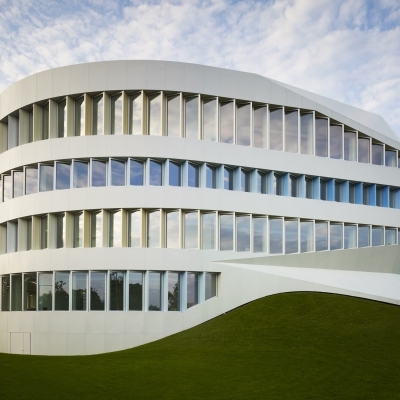 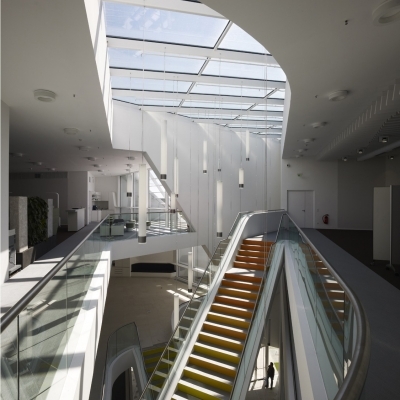 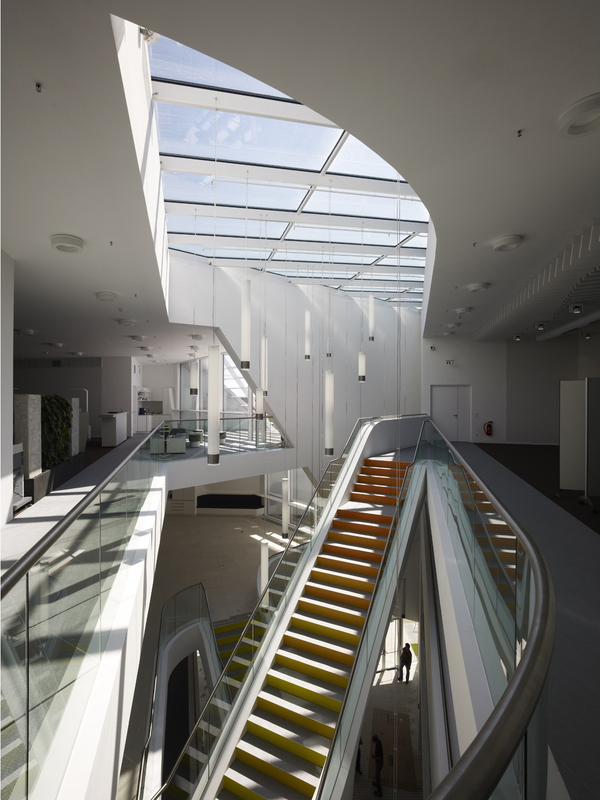 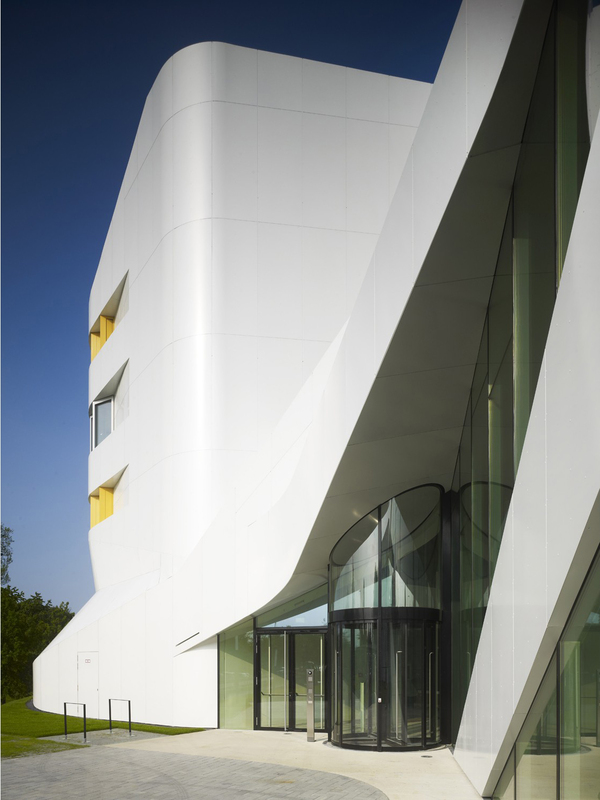 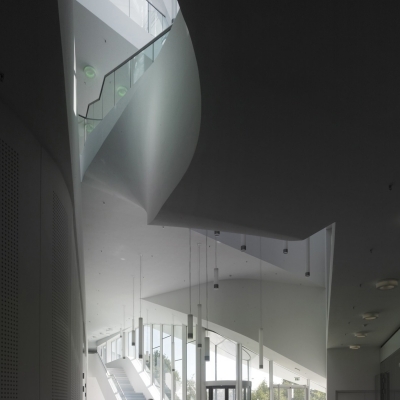 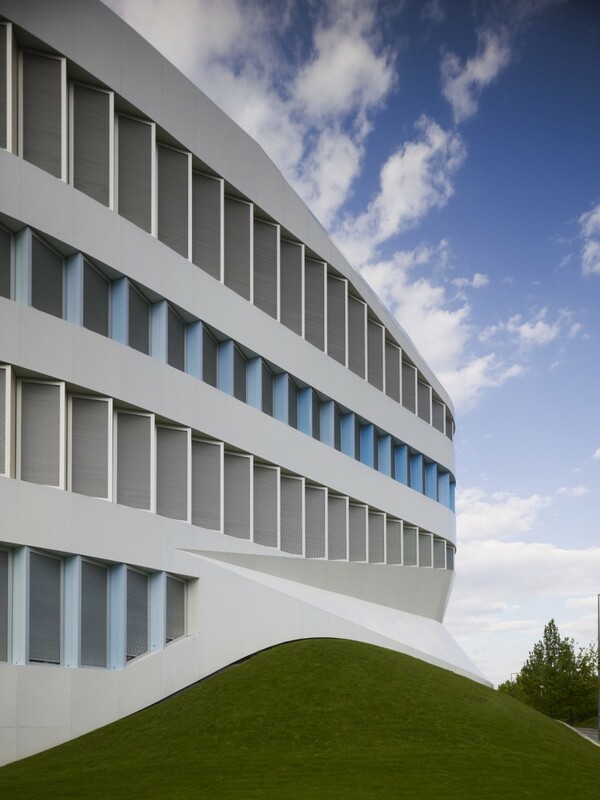 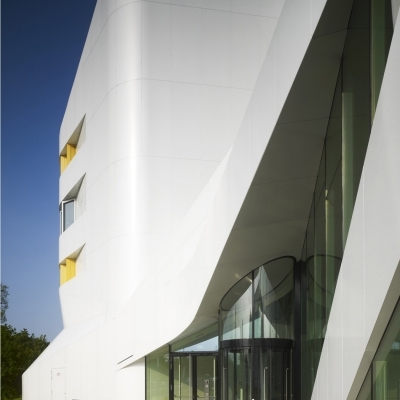 UNStudio worked in collaboration with ASPlan from Kaiserslautern on the architectural services for the Centre. 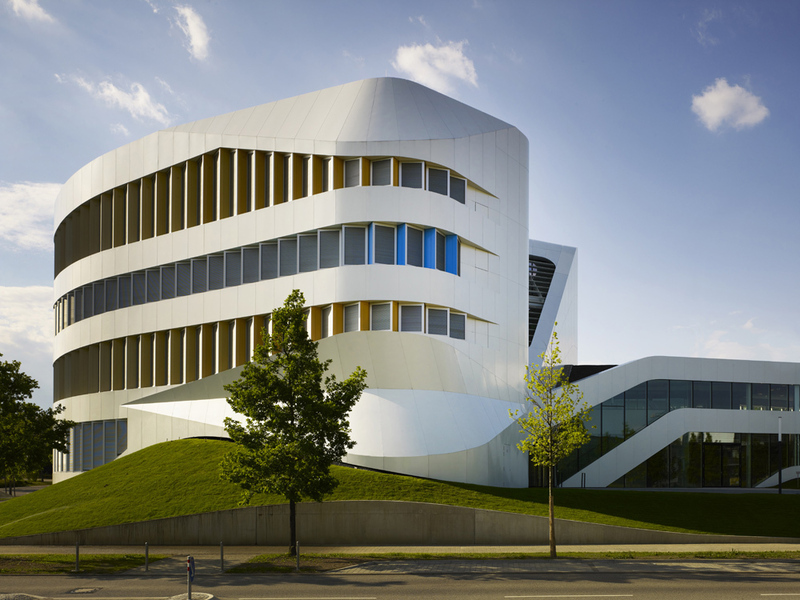 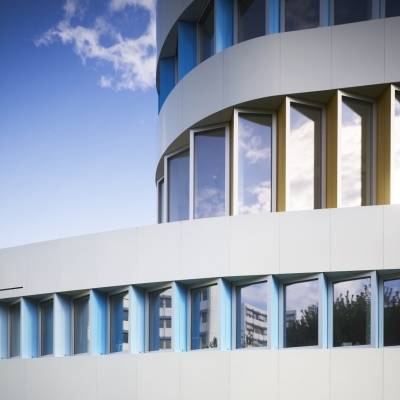 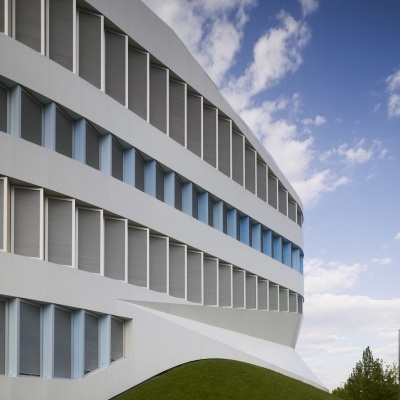 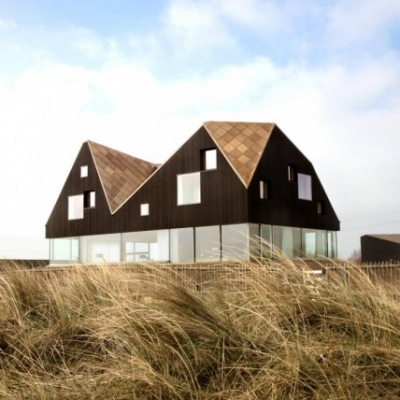 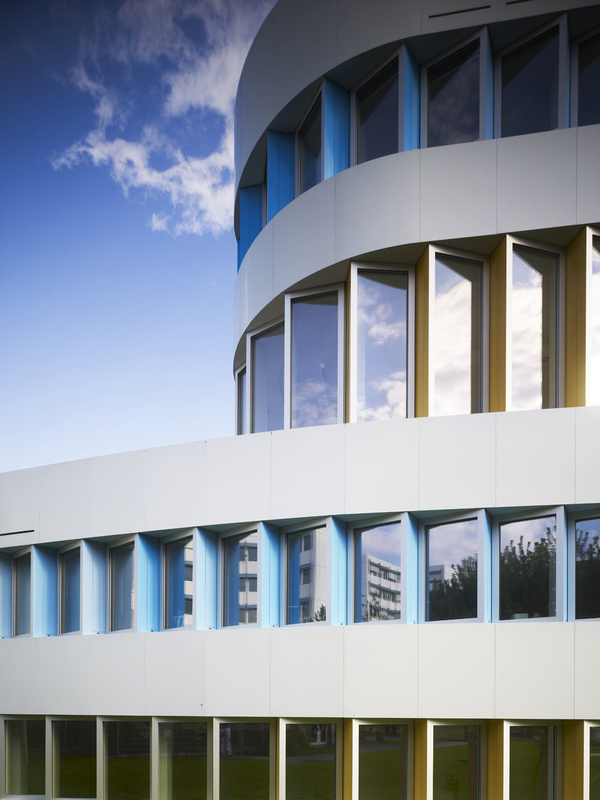 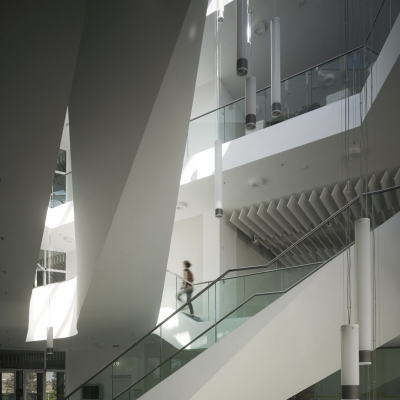 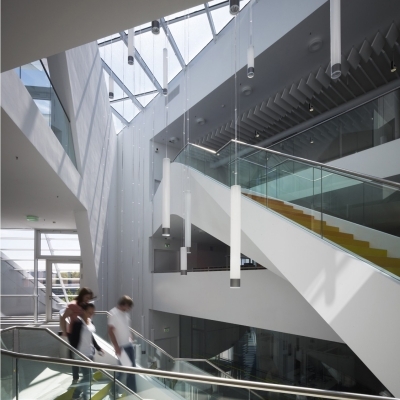 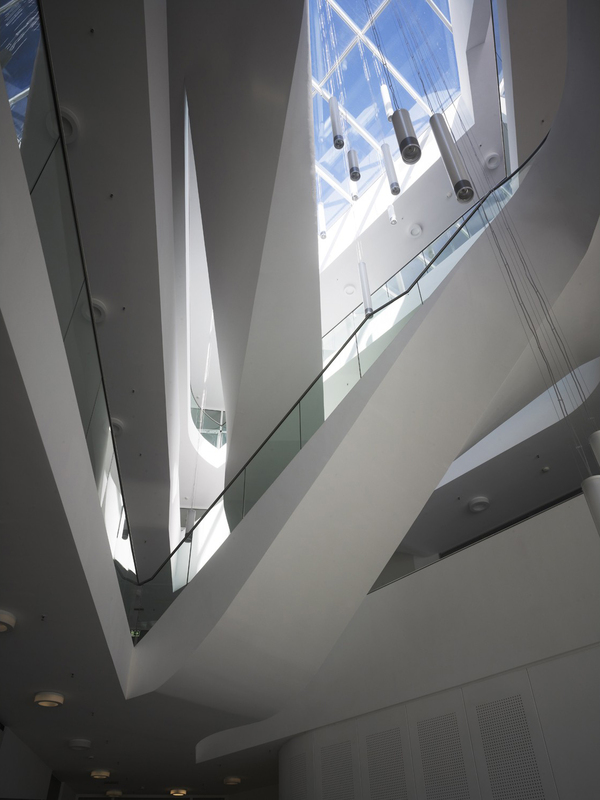 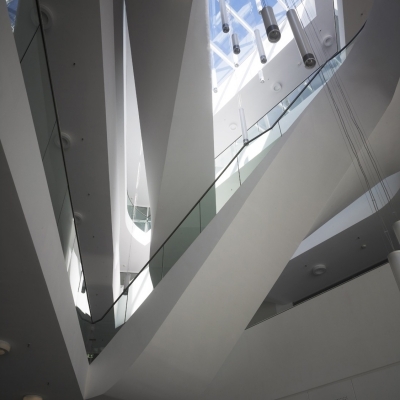 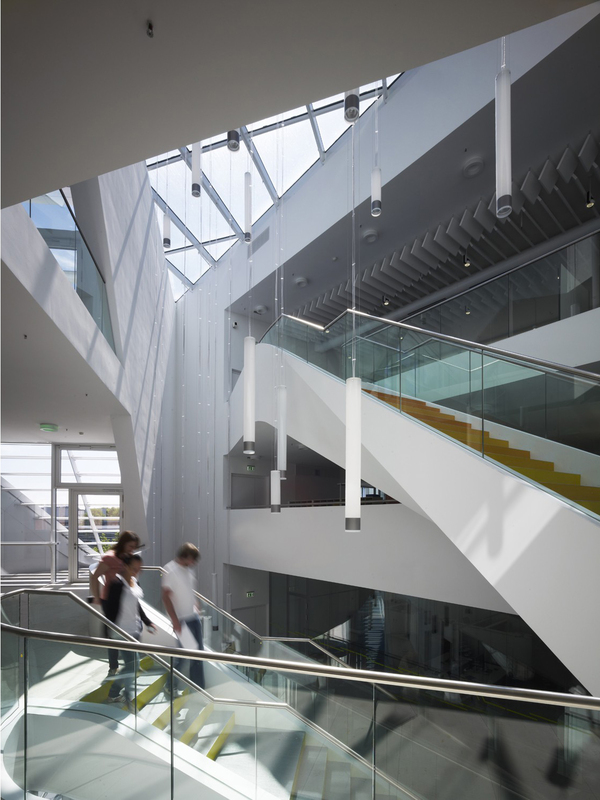 An exceptional level of sustainability was a key consideration from the outset and uopn completion the building was awarded a Gold certification by the German Sustainable Building Council (DGNB).